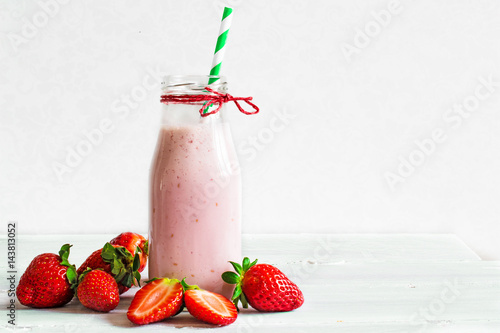 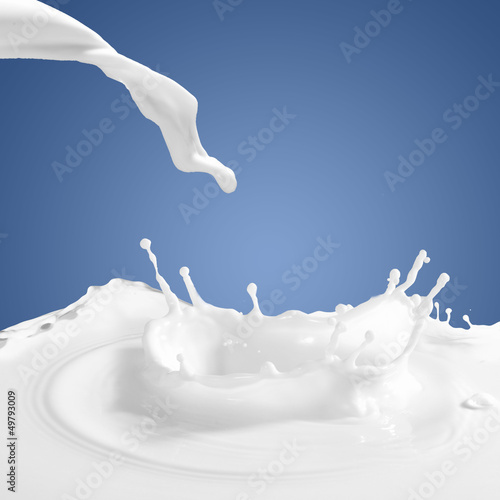 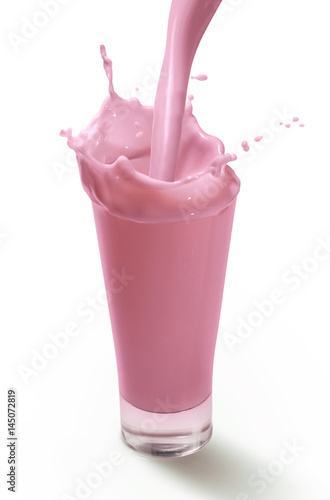 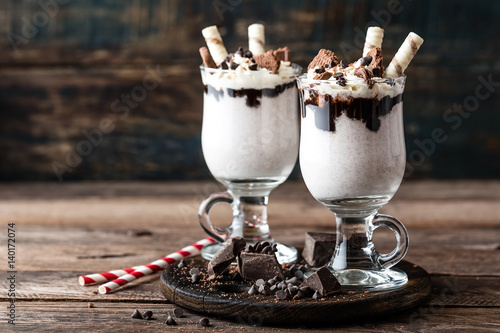 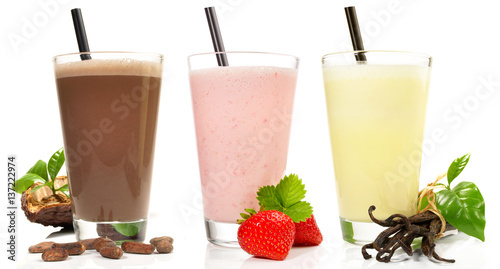 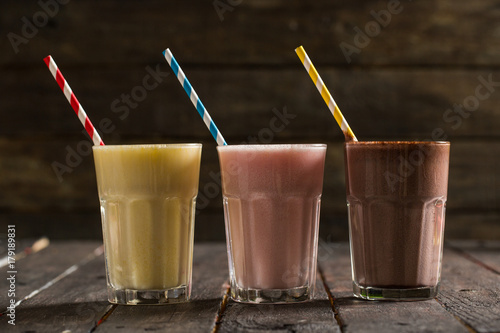 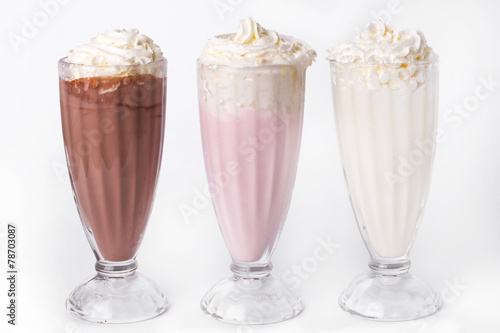 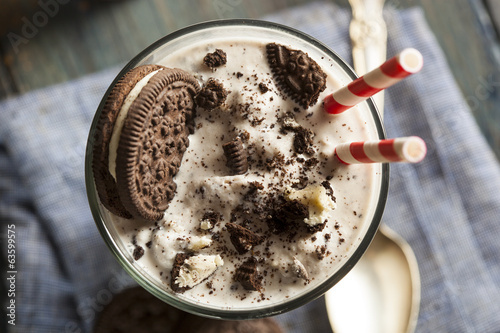 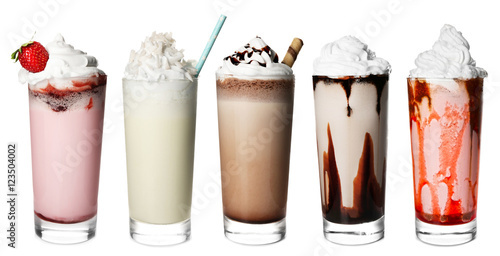 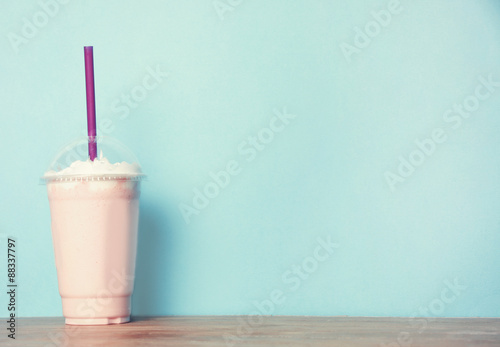 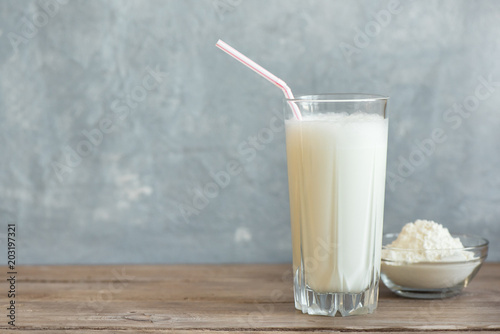 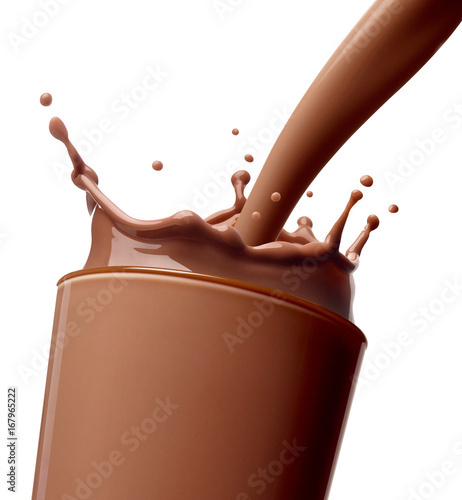 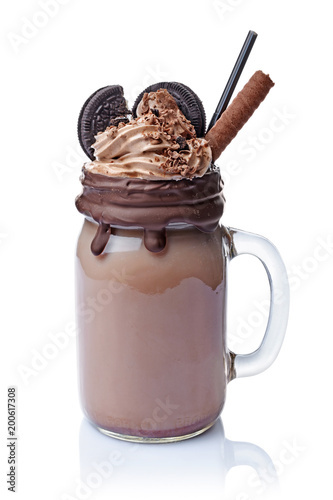 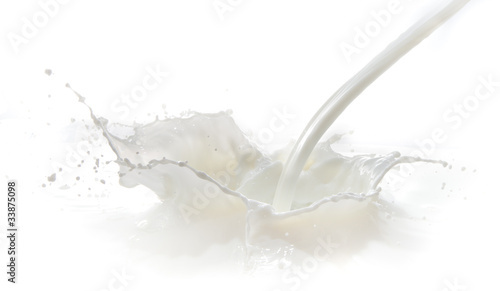 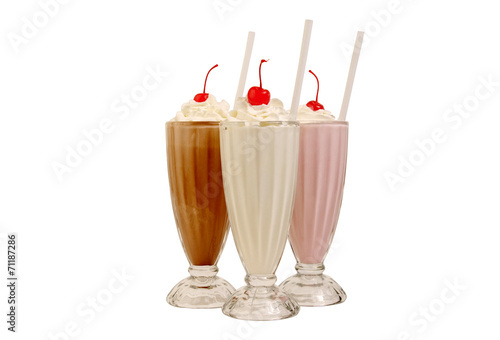 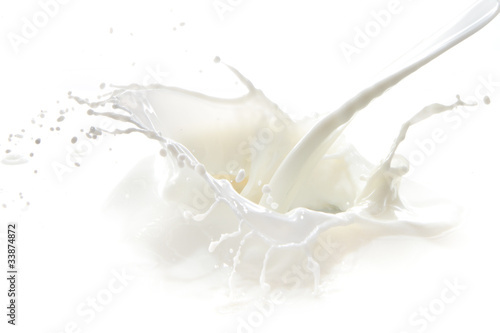 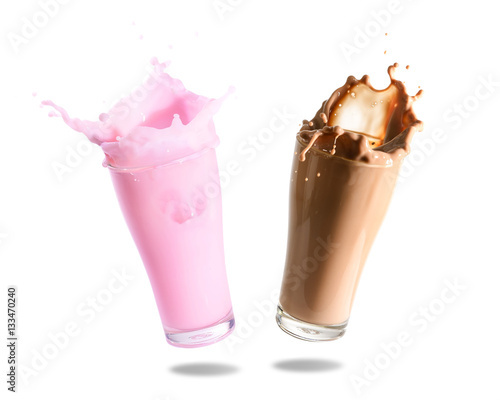 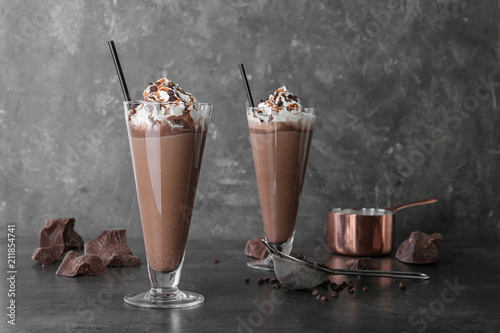 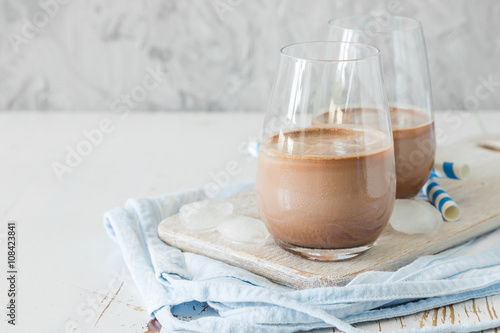 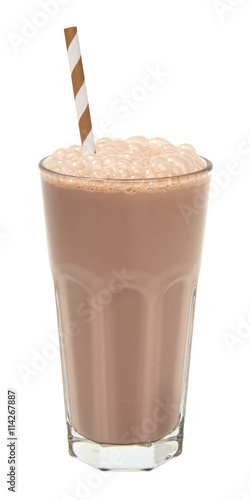 Strawberry milk and chocolate milk splashing out of glass., Isolated white background. 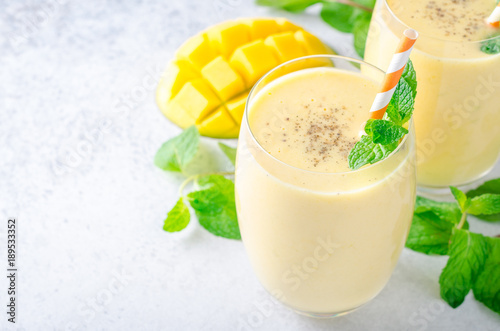 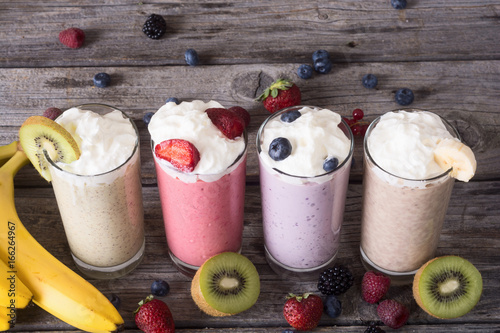 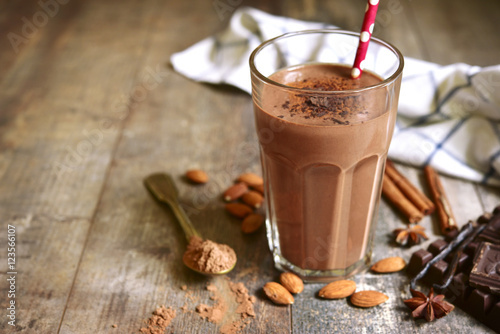 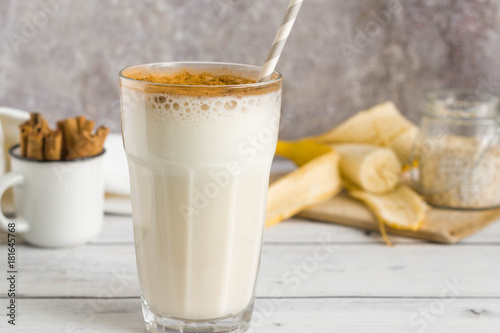 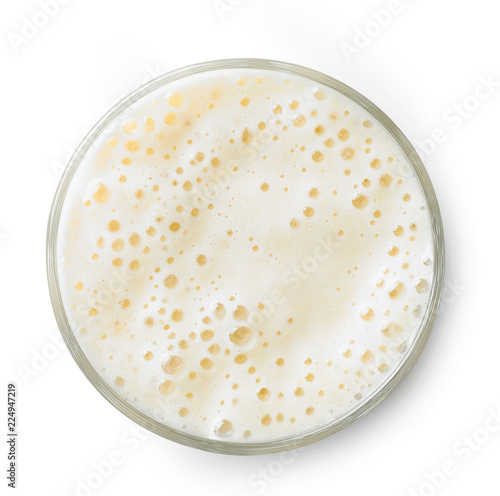 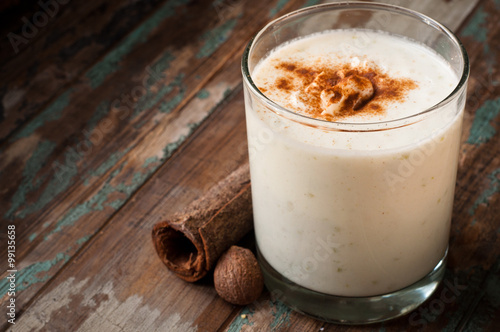 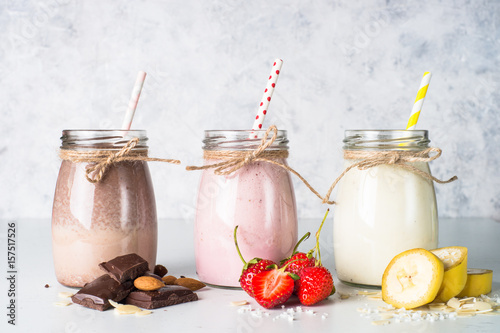 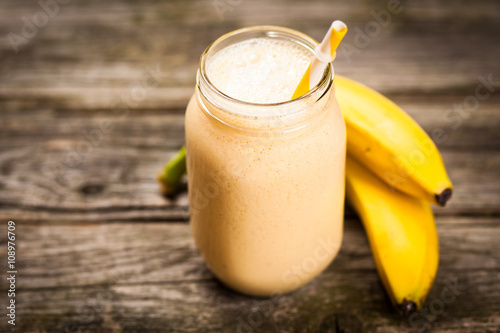 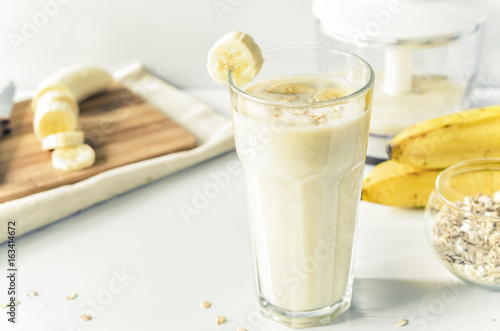 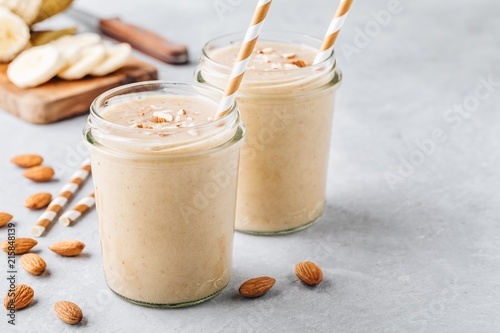 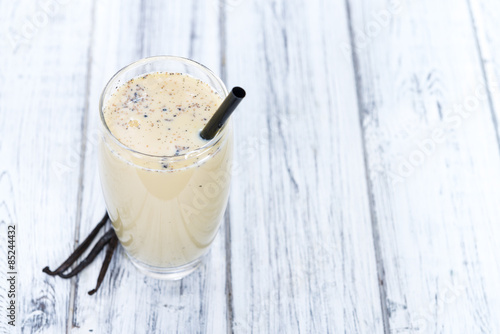 Apple crumble smoothie milkshake topped with cinnamon and nutmeg spices. 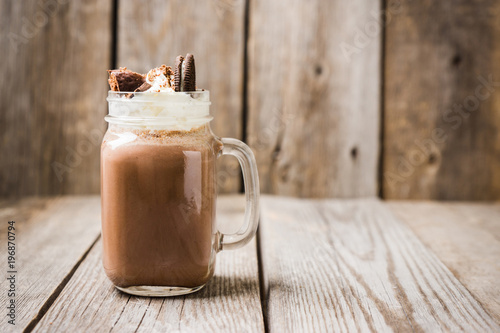 Served on a rustic wooden table. 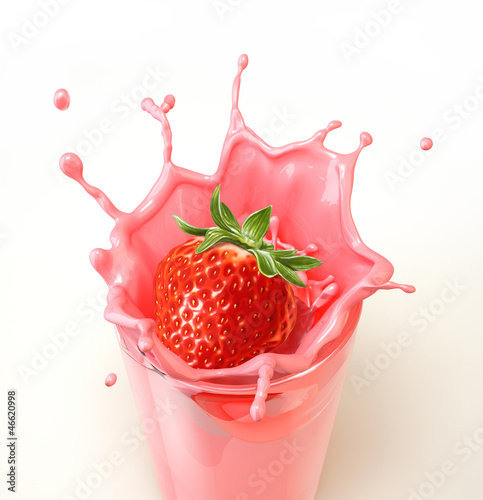 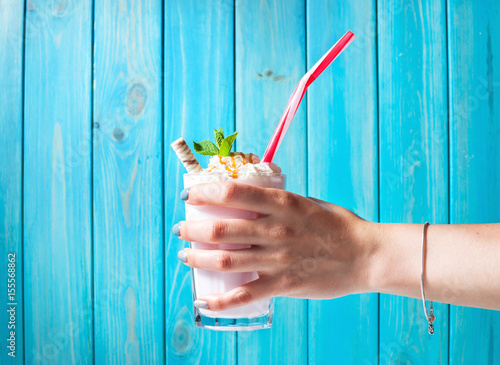 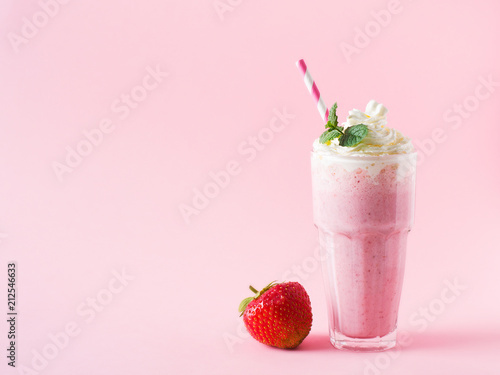 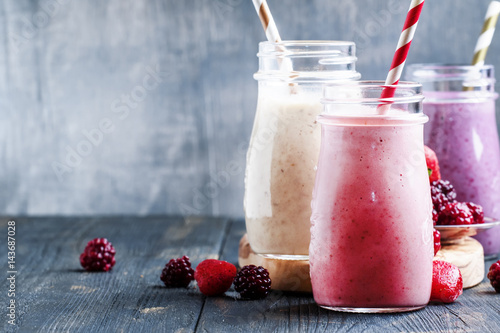 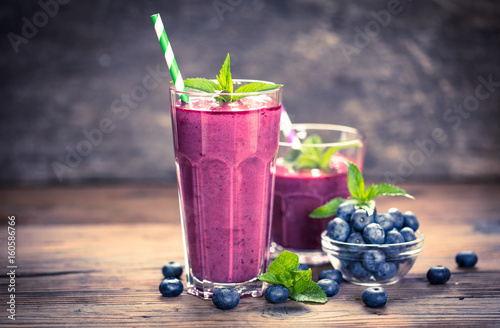 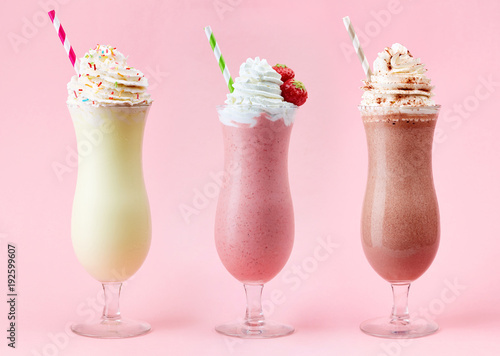 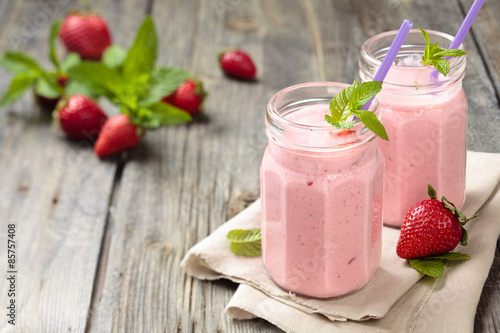 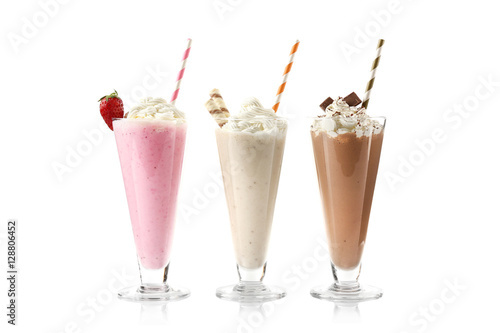 Strawberry splashing into a glass full of milkshake.